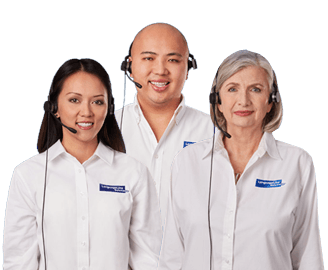 Our goal is to help our valued clients, and their staff, communicate effectively with limited English speaking and Deaf and Hard-of-Hearing individuals. That’s why we offer our clients a variety of complimentary helpful support materials. 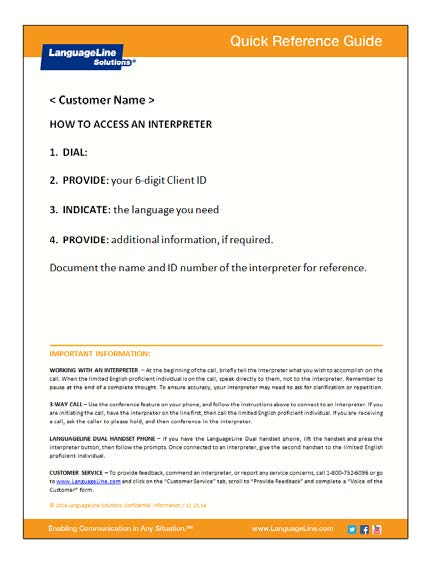 These materials are specifically designed to show our clients how to access interpreting services quickly and efficiently and to create awareness that services are available. 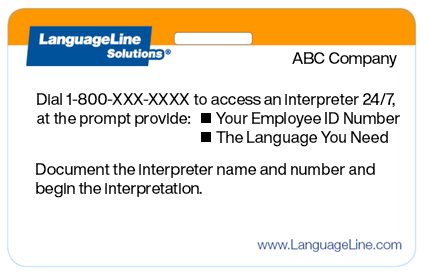 A variety of materials for easy reference which contain instructions to effectively access an interpreter can be customized for your organization. 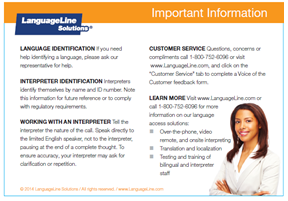 These materials are designed to assist in identifying the preferred language of your customer as well as providing awareness that interpreting services are available. 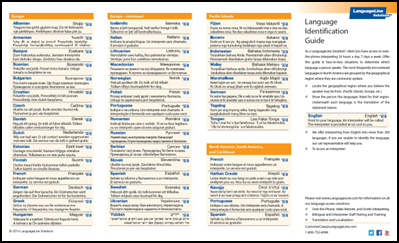 The materials include the phrase “Point to your language. 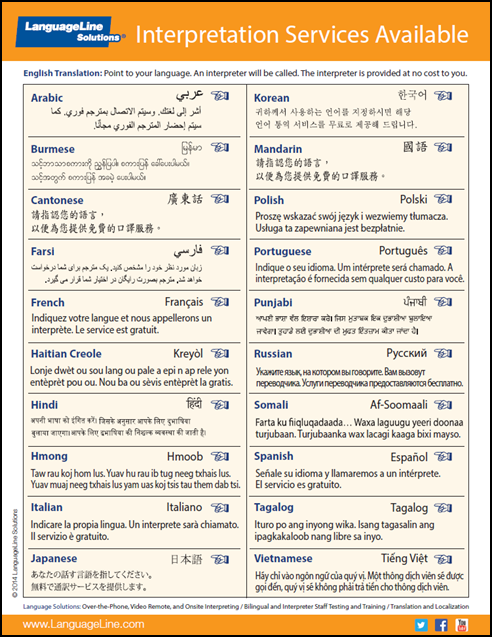 An interpreter will be called at no charge to you.” The limited English speaking person simply points to their preferred language. 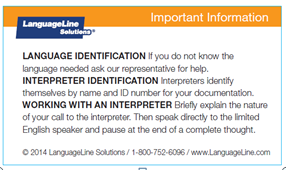 Connect with an Interpreter now 24/7. Pay by the minute with Personal Interpreter.